If you’ve visited Ottawa’s historic New Edinburgh neighbourhood anytime in the past decade, chances are you’ve noticed the striking glass-walled building at 50 Sussex Drive, flanked by the French Embassy on one side and the picturesque Rideau Falls on the other. Perhaps you were even one of the more than 2,000 people who came to check out its recent top-to-toe renovation during Doors Open Ottawa earlier in June. Now, there are three more reasons to add Canada’s Centre for Geography and Exploration to your list of places to check out in the capital this summer. Until September 15, 50 Sussex is playing host to three free public exhibitions, each representing a unique fusion of art, artifact and biography. 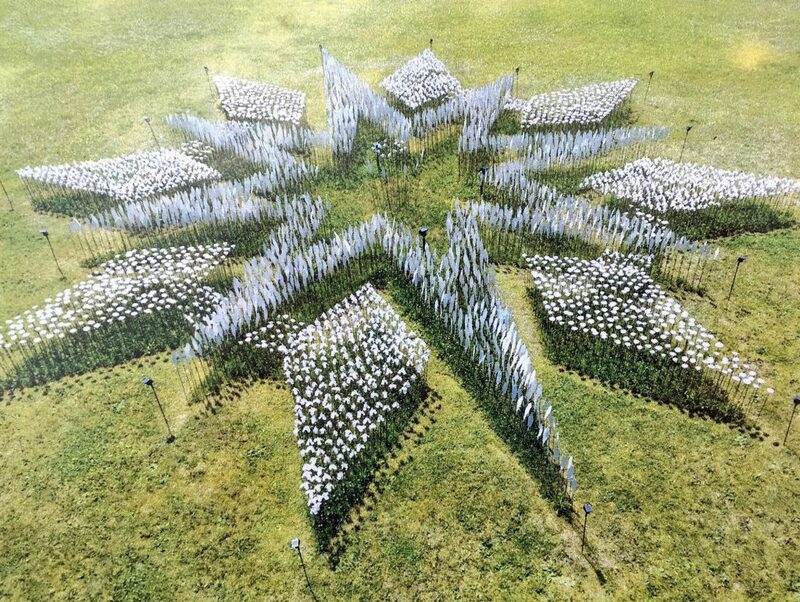 On the front lawn, wind your way through more than 3,500 ceramic sculptures set on steel rods in the shape of a compass rose. Compass: Peace in All Directions was created by artists Hilde Lambrechts, Kirstin Davidson and Kim Lulashnyk and represents the three main groups that populated the Ottawa River Valley at the time of Canada’s Confederation: the British, the French, and Indigenous Peoples. 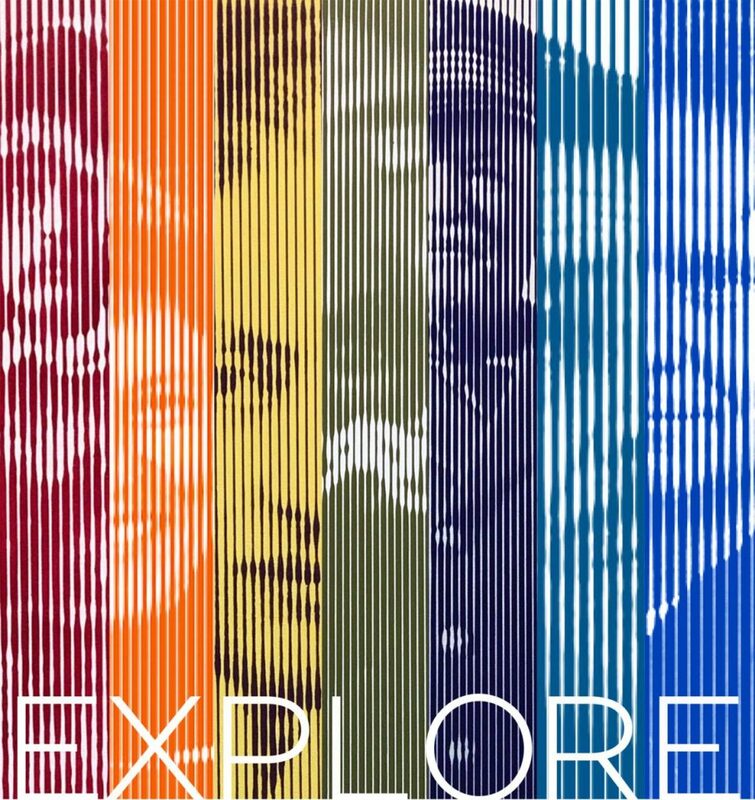 ”Explore“ is a series of paintings by Chris Cran depicting Canadian explorers and geographers. Inside 50 Sussex on the ground floor is Lessons from the Arctic, an artifact display presented by The Royal Canadian Geographical Society in partnership with Norway’s Fram Museum, honouring Norwegian explorer Roald Amundsen. The exhibit shows, through words, archival photos and sketches, how Amundsen used his experiences in the Canadian Arctic to achieve another historic first: the South Pole. The second floor gallery also houses an exhibition about exploration, but with a twist. Explore is a series of paintings by acclaimed contemporary artist Chris Cran depicting notable figures in Canadian geography and exploration — some already well known, others only now receiving the wider recognition they’re due. While you’re on the upper level, be sure to scope out the incredible panoramic view of the Falls, the Ottawa River, and the Gatineau Hills. 50 Sussex is open to the public daily from 9 a.m. until 5 p.m., except Tuesdays and Wednesdays. Admission is free.